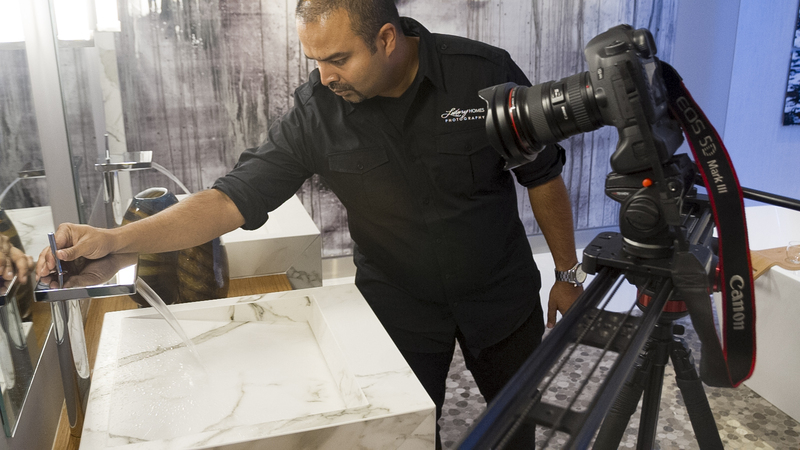 Luxury Homes Photography Team excels in several areas of the video production process, including post production and compositing, as we focus to create immersive, cutting-edge media experiences. Utilizing the latest in production facilities, software, and video editing equipment, our talented team has the means and capabilities to meet any video challenge. Many times we are called out to photograph a property and although a photo does a create job capturing the space it doesn’t compare to video. Though motion, sight and sound the viewer gets to see your vision of what the feel of the property should be. You may have a Tuscany style home that needs classical musical to represent its feel or you may have a high rise penthouse which needs an upbeat atmosphere. Either way we can make sure through our talent to produce a final video that represents the property to the fullest. Its starts with the introduction to the property, we walk the space determining the best angles and movements which represent that space. Luxury Homes Photography is always ahead of the technology and we bring that into our projects from sliders, to steadycams, ronin’s and drones, we have the tools necessary to capture your listing in the best light. Our team consists of a director let by Fraser Almeida and 2 camera operators. Whether we are shooting a property without any talent or with a cast of people, you can be assured that we have the confidence, skill and knowledge to direct the production from inception to completion. Quality is a must in our productions. We make sure to shoot all our video in RAW which give us the highest flexibility to edit in post-production and deliver color accurate videos of the space.